What Is GIS? “A geographic information system (GIS) is a system designed to capture, store, manipulate, analyze, manage, and present spatial or geographic data.” (Source) Since ALK is a company that relies on quality map data, our GIS team is the backbone to our location engine and ALK’s platform. Our GIS team has been working on various projects ranging from updating route numbers, to truck attribution and conflation, which is a tool that was created in-house. Conflation describes the merging of an outside data source with our ALK's data. First, we look at our existing map data. Second, they find differences between our existing and new outside data sources. Third, the team determines ground truth and edits the map data accordingly. Our GIS team uses a variety of sources to conflate data and to create high quality map data for our customers. The basic geometry & attributionis made up of data from different sources, including national, state, county postal and satellite data. 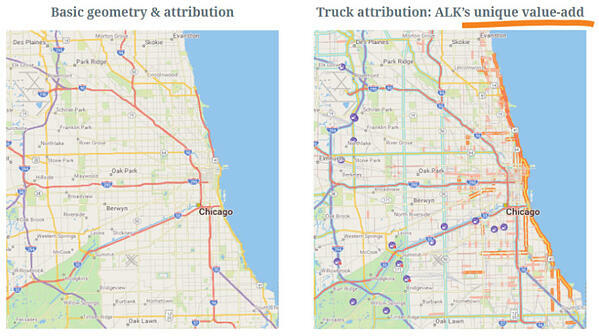 Truck attribution has these same elements plus municipal, toll authorities and company lists for sites. In Europe, we work with HERE Maps to provide high-quality maps and commercial attributes. Getting lost in an unfamiliar area is probably one of the most inconvenient things to happen while travelling. But getting lost while driving a trailer or haul truck in an unfamiliar area could turn into a nightmare. 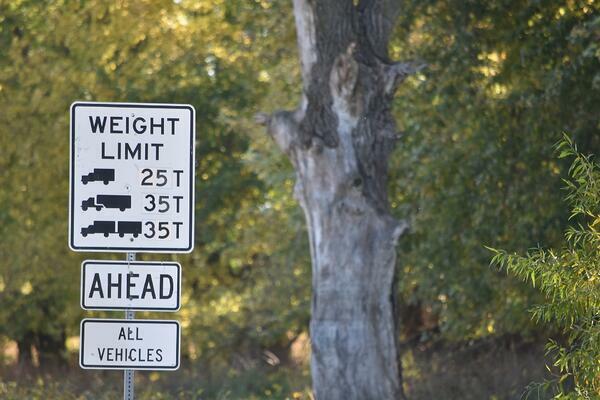 When trucks get incorrectly routed, it can result in serious damage and dangerous situations. Not all navigation systems account for a vehicle’s size and weight. Appropriate map data and navigation specific to trucking are crucial for driver safety and your company’s budget. For example, bridge strikes that occur in the US and the UK can cause damage to the truck, goods being hauled, the infrastructure itself, and can potentially harm the truck driver or other road users. On top of any damages, these types of accidents can also result in huge fines for driving on a truck-restricted road.